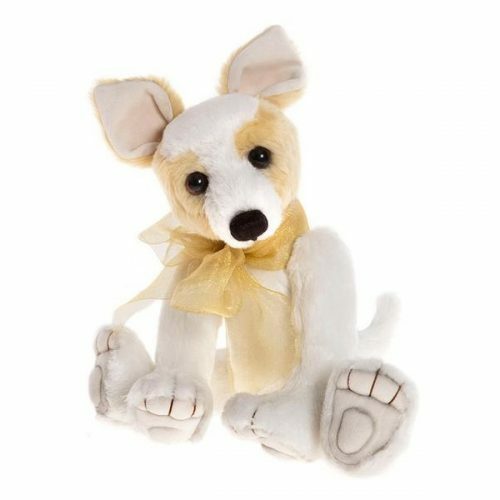 This sweet little Chihuahua puppy is made from soft gold and cream plush with beige stitch-sculpted paw pads and inner ears. She has expressive brown and black eyes and wears a golden organza ribbon bow around her neck. Part pellet filled and super poseable!